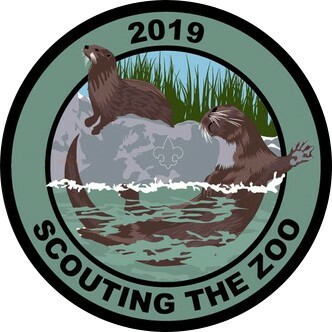 Scouting the Zoo showcases the Scouting program of Three Harbors Council. This program is open to every Cub Scout, Boy Scout, Venturer, Explorer, Scout leader, their families and the general public. The program will provide hands-on experiences for youth members that are exciting for all ages. Get your t-shirts now! Limited time only! 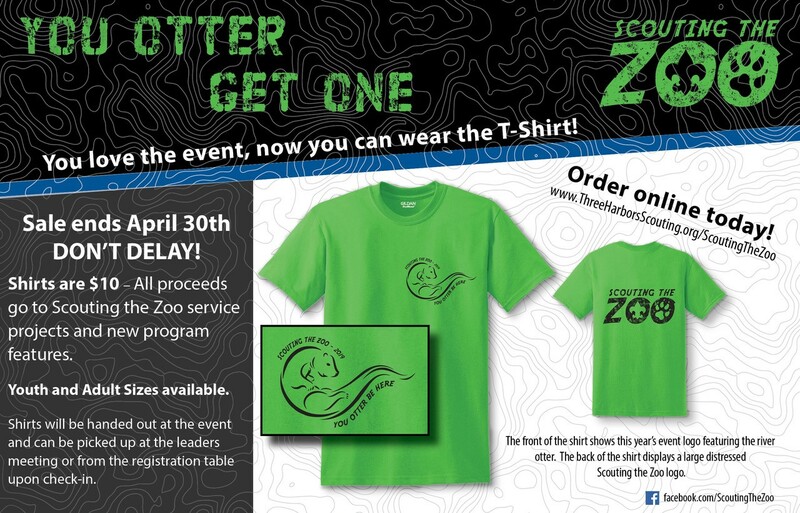 Lion, Tiger, Wolf and Bear Cub Scouts are invited to attend for the day on Saturday and can participate in all activities before and after regular zoo hours. Packs who are selected for the camping pilot program will be invited to camp Saturday night only. Webelos and Arrow of Light Scouts are encouraged to camp with a local troop during the weekend. This will help foster the Arrow of Light-to-Scout transition program. Coordination with a troop is required. Please arrange proper adult leadership with the troop you will accompany. Scouts BSA/Venturers and Explorers are invited to camp Friday and Saturday or attend for the day on Saturday with their unit under the rules and regulations of the Boy Scouts of America.